I wear jeans a lot - they are easy, cool, comfortable and practical plus i love denim. I wear black spotted ones for work with a buttoned up shirt and loafers, i have 'mom' jeans which have allowed me to wear shorter tops than i would have with my skinnies and i also have ripped ones for when i want to look cool! In the past i have had moments of 'i'm bored of wearing jeans' but once you look at the options within jeans you realise that now more than ever there so many different shapes, colours, patterns and different style jeans around. I wear skinny jeans a lot, mainly because i have a lot of them and they are easy (currently i'm wearing mine with ankle boots) but apparently they are on the way out of fashion (even though they have been around for 15 years) plus i'm ready for a change so i'm going to start embracing other styles. The majority of my jeans come from TOPSHOP and that's because i think they do the best on the high street. But I also have a pair of black GOK for Tu Sainsburys's ones which i love and a pair of ripped GAP Girlfriend ones too. TOPSHOP have recently launched their MEET YOUR JEANS campaign - where they clearly explain what the characteristics are of each design. They currently have 245 different styles and have increased their Tall, Petit and Maternity range so there really is something for everyone/ shape. The best way to choose a style that suits you is to try them on - the most important thing is that you like them and feel good in them. 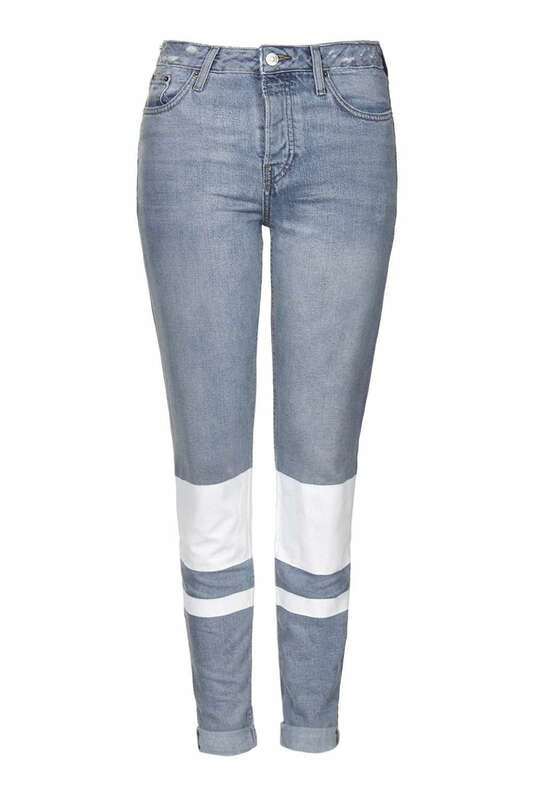 And don't assume a style won't suit you and embrace a statement jean - why not? 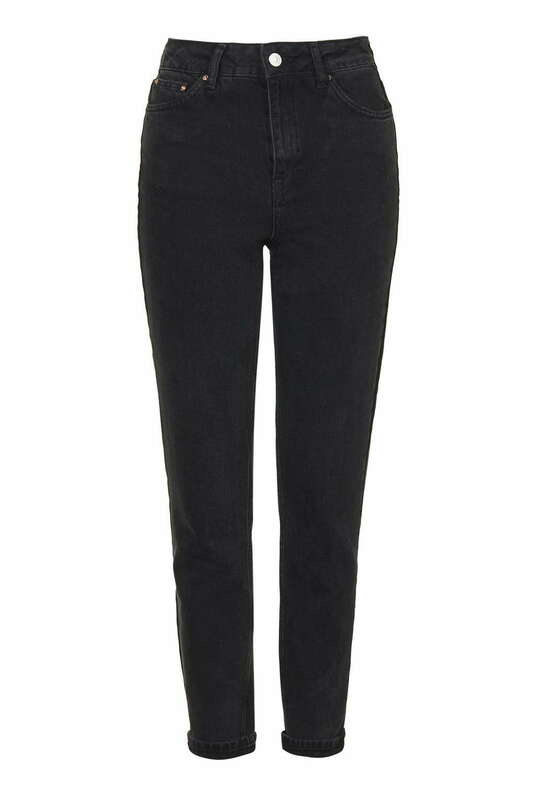 TOPSHOP ones i have include: The Jamie - these are good because they come up higher on the waist than the Baxter, have more stretch in them and are therefore really comfortable. They are not so good if you don't like tight fitting jeans. The Mom jean - these are cool because they aren't too tight, and come up higher on the waist and are surprisingly flattering. Then there are many many versions of the above - ripped, patterned, cropped.... Also there isn't one particular style that is overtaking them all. So basically jeans are (still) in, but what colour and style is entirely up to you. If you like them - wear them!